It’s not just the folks with the famous names who live outrageous lives. Their relatives, in this case the children and grandchildren, also feel the effects of super wealth and status. Wendy Burden falls into this category. She is the great, great, great, great-granddaughter of Cornelius Vanderbilt. There was still plenty of money and status associated with the family when she was born. 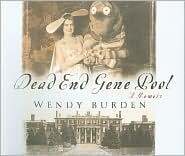 Unfortunately, her father William A. M. Burden III, a direct descendent of Cornelius Vanderbilt, could not take the pressure of life and committed suicide when Wendy was six years of age. This sad event precipitated the handing off of Wendy and her younger brother Will to Grandpa and Grandma Burden for intermittent visits while mom escaped life and responsibilities overseas in the company of a variety of men. This memoir is an over-the-top expose with all the dirty little stuff prominently featured. The self-indulgence, disregard for others and general insular behavior exhibited by the Grandparents Burden is easy fodder for Wendy’s 21-gun salute to the grosser aspects of wealth. Oh, did I happen to mention that the guns are loaded with bizarre details? Who among us cares to know that Wendy collected dead birds and observed their decomposition a la the scientific method used at the body farm at the University of Tennessee? If you’d rather eavesdrop on cocktails and dinner with the grandparents, you would learn that grandma was a champion at farting whenever she felt the urge. According to Wendy, this urge was never ignored regardless of the folks in her vicinity. The walls in their home may have been covered with museum quality paintings and sculpture; however, grandma and grandpa were usually too sloshed to notice. The crisp details and well-crafted accounts of life with the super-rich begin to seem a bit suspicious once the reader gets past the shock and wit. 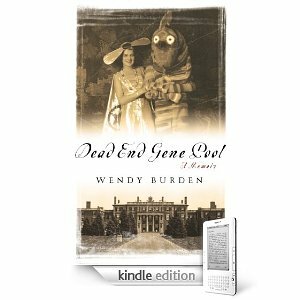 Yes, Wendy Burden is an excellent story teller. Just how much is fact and how much is convenient recall – or perhaps fiction disguised as the truth – is anyone’s guess. This reviewer finished the book with a sense of gratitude for a seemingly ordinary life. Recommended for snoopy readers who follow OMG! on the internet. This review was written by Ruta Arellano. The book was purchased by the reviewer. .